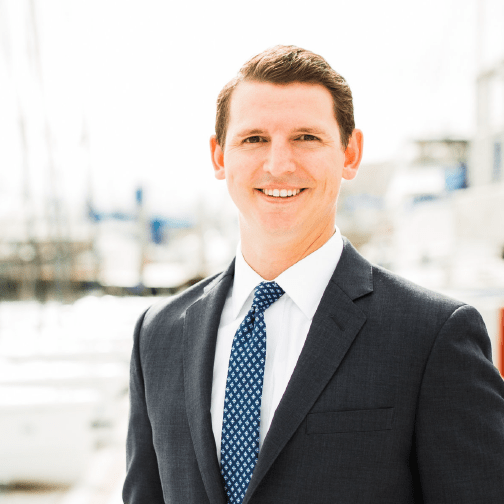 John Chapman, CFP®, one of WorthPointe’s newest hires, is spearheading the new Orange County office. With deep roots in the OC area and currently residing in Newport Beach, this talented and knowledgeable family man will help us expand our territory and serve a wealth of new clientele. Keep reading to get to know John and how he came to WorthPointe. I grew up in Orange County but I chose to attend college at the University of Washington in Seattle. While living in Seattle was a big change in climate and culture, it was also an unforgettable experience. I was in school during the height of the great recession, which sparked my interest in the markets and personal finance. I took an opportunity to intern at Merrill Lynch and quickly developed a passion for helping others navigate the financial planning process. That experience was foundational and serves as motivation to help clients protect and grow their wealth. After working at Merrill Lynch during school and then almost a year after graduation, I was intent on moving back to California to be close to my family. Coming home provided an opportunity to join Fidelity Investments which broadened my exposure to all areas of wealth management. Earning my CERTIFIED FINANCIAL PLANNER™ professional designation in 2013 was a proud moment, probably just as big of a milestone as graduating from college for me. In just six short years, I was serving over 500 households and was promoted to Vice President Financial Consultant. I learned about WorthPointe initially from the DFA and NAPFA websites. I could tell right away this is a firm that not only wants to be a leader, but an educator in this industry. This really struck a chord for me. When I sat down with them, it became even more clear that this isn’t a cookie-cutter Wall Street company. People matter to them — their clients and their team members. Not only did I feel aligned with Worthpointe’s mission and core values but also their technical expertise and investment philosophy. What does your down time look like? Adventuring with my three children and my wife. We take advantage of the beach lifestyle as much as we can, whether it’s surfing, sailing or just laying low on the sand. We’re really lucky to have so many extended family members around as well. It’s awesome to be a part of a big family and build traditions together. That’s also what’s great about my position. I can create balance for my life and help others do the same. WorthPointe is giving me a lot to look forward to. Helping them expand their territory into Orange County, where I’m the most at home, excites me. The entrepreneur in me is really going to thrive. I’ll be spending less time concerned about product offerings and instead focusing on the people who benefit from our experience and education. Minimizing that conflict of interest and meeting people where they are in life puts financial planning into a wider perspective. My future is about building relationships within my community and coaching clients to succeed. John Chapman CFP® understands wealth management is as much about the relationships as it is about the numbers. Strategy, experience and knowledge allow him to create the financial solutions to catapult his clients toward their goals. With WorthPointe’s sophisticated technology at his fingertips, John loves helping families and businesses organize their finances and secure peace of mind surrounding their wealth. He prioritizes his clients’ values and takes the time to listen to their unique stories. 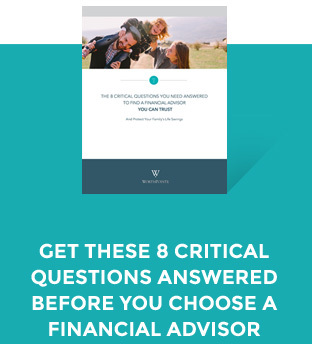 Together, they articulate a clear vision and map out a financial plan to support it. Innately fascinated by the financial markets and global economies, John has a healthy obsession for tracking market trends and formulating projections to better inform his clients about the future ahead. Proud of his CERTIFIED FINANCIAL PLANNER™ certification, John holds himself and his practice to the highest ethical standards and client commitment. Join us in welcoming John Chapman to WorthPointe!